:: The feathers of migrating birds are carrying resilient microscopic plant spores, or diaspores, of some mosses, algae, and fungi, from breeding grounds in the Arctic to South America, where the plants take root and grow. :: It’s that time of year again — well-meaning people out for walks are “ducknapping” young birds, much to the dismay of the parent birds and wildlife rehabilitators. :: Jay Holcomb, a pioneer in seabird rescue and rehabiliation, and who helped to build International Bird Rescue into one of the world’s top wildlife organizations, died this week at the age of 63.
:: Biologists are capturing, tagging, and releasing Hawaiian seabirds, as part of studies by the US Geological Survey Western Ecological Research Center and Bureau of Ocean Energy Management, in light of current proposals to build new renewable energy sources, such as wind turbines, in the waters around Hawaii, to see if the turbines and other structures may cause problems for seabirds. :: Two MIT linguists, studying the roots of human language, have hypothesized that our ability to communicate ideas came from primates, while the expressive, melodic side of our language came from birds. :: Australian researchers studying the relationship between Superb Fairy-Wrens and Horsfield’s Bronze-Cuckoos and the threat of brood parasitism, have learned that female Fairy-Wrens teach their embryos a secret “password” to use after they hatch in their begging calls for food. :: The National Wildlife Federation and Vermont Natural Resources Council have issued a report stating that the US Dept. of Interior is under a legal obligation, known as the Pelly Amendment, to determine whether tar sands mining and drilling in Canada, which has already killed thousands of birds and is putting millions more at risk, is undermining a century-old international treaty to protect North America’s songbirds and waterfowl. :: The Florida Fish & Wildlife Conservation Commission is asking the public and citizen scientists to help locate three species of rare and declining species — Southeastern American Kestrel, Burrowing Owl, and Painted Bunting — during the breeding season which lasts through July. :: From Russell at Russel Canning’s Blog: “Western Teenagers” Big Weekend Report! 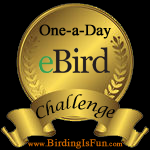 This entry was posted in Alberta Birds, Bird Conservation, Birding, Birding News, Blogging, Canada Birds, General Birding, Nature, Spring and tagged Birding News, Blogging. Bookmark the permalink.